​​ KINGWOOD – Kelsey-Seybold Clinic will reopen its local branch at a new location in summer 2019 after sustaining damage during Hurricane Harvey. The exact location has not yet been determined, but the clinic will not reopen at its former location on West Lake Houston Pkwy. 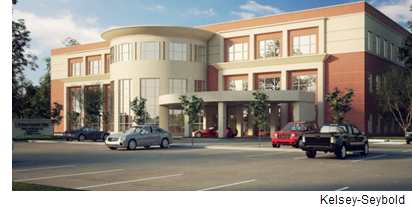 The 55,000-sf clinic will more than double the size of its former 20,000-sf location. In addition to the extra space, the clinic will consist of new services not offered at the former location.